This is the message of education program entitled Architects. The target group of the program are pupils of 3rd – 9th grade at primary school who in the role of architects propose a new functional use of the concrete area. They are focused on the area which is well known and in which they have better experiences than adults. Thus their attention is aimed at the game and proposal of a new children playground. The program Architects presents Cross-curricular learning which connects educational content of several teaching subjects especially mathematics, geography and computer science. Duration of the program is at least 4 lessons (180 minutes), but there is possibility to realize it as a long-term pupil’s project. Realisation of the program allows connection of several pedagogic approaches e.g. 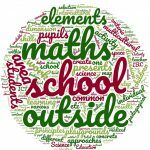 Outdoor education, Inquiry-based learning (Project-based learning), Role playing, use of ICT in education, Adventure pedagogy principles etc. Purpose of the Module is to introduce education program Architects to the students of teaching training studies (students of Initial Teachers Education (ITE) as an alternative for modern, active, multidisciplinary education. Through the individual activities students are gradually familiarized with a content of education program, methods and forms of learning used as well as with topic of intercultural education. Intercultural perspectives in math and science education. Cooperation of pupils and teachers in interdisciplinary education. Efficient use of ICT in relation with outdoor and adventure education and IBL pedagogies principles application. acquire skills to build a classroom atmosphere for team cooperation, communication and mutual respect in various cultural environments.